From the 50th anniversary episode of Doctor Who comes this replica of the tie worn by David Tennant, the tenth Doctor. One size fits most Time Lords. EX-TER-MIN-ATE! This knit acrylic beanie style hat has an embroidered applique eye stalk. The blue daleks are the non-commissioned officers of Skaro. Travel through all of time and space in style. This jacket is made after the style popularized by the eleventh Doctor, and cut to fit a woman's figure. Travel through all of time and space in style. This jacket is made after the style popularized by the eleventh Doctor, and cut to fit a woman's figure. Bow tie sold separately. Fits a 48-50" bust. This dalek dress will help you demonstrate your true lack of compassion and remorse while you systematically purge the universe of all non-dalek life. exterminate! Embrace cold, hard logic and delete your emotional soft side! Instantly upgrade yourself to fix flaws and weaknesses and Become a walking war-machine, be a Cyberman! Salute the human race’s indomitability with a visit to your favorite planet in the fourth doctor’s hat. Just don’t forget to pack the jelly babies! One size fits most adults. Show how cool you are with this fez and bowtie kit. Only the Doctor can save the world and start major fashion trends- no matter what timeline he's in. Polyester, one size fits most adults. This isn't an ordinary multicolored scarf- in the hands of the capable Doctor, it's a lasso, measuring tape, and almost always saves the world from impending doom. One size, fits most Time Lords. EX-TER-MIN-ATE! This knit acrylic beanie style hat has an embroidered applique eye stalk. The orange daleks are the scientists of Skaro. One size fits most adults. EX-TER-MIN-ATE! This knit acrylic beanie style hat has an embroidered applique eye stalk. The red daleks are capable of independent thought, and are higher up the chain of command than the blue daleks. The acrylic knit provides a comfortable fit for these TARDIS styled arm warmers. One size fits most. The Silurian race predates humans on Earth. They have a lizard-like appearance and are technologically advanced. This EVA half mask is really a Silurian mask as their skin is green, with the grey being the mask they wear. Don't worry, the space time continuum will still be intact while wearing this TARDIS laplander. The knit material allows for a comfortable fit over the ears and the clever design of a public call box will keep unwanted aliens at bay. Don't blink. Don't even blink. Blink and you're dead. As old and mysterious as the universe, the weeping angels feed off the potential energy of their victims. Vacuform plastic with translucent silicon elastic string. EX-TER-MIN-ATE! This knit acrylic beanie style hat has an embroidered applique eye stalk. The yellow dalek is the eternal dalek. One size fits most adults. EX-TER-MIN-ATE! Become the Supreme of the new paradigm. This knit acrylic beanie style hat has an embroidered applique eye stalk. One size fits most adults. Your chameleon circuit may be broken, but you can still travel through time and relative dimension in space in 1960s London police box style! Size small/medium fits dress sizes 6-8, with a 28-30" waist. Your chameleon circuit may be broken, but you can still travel through time and relative dimension in space in 1960s London police box style! Size large/extra large fits dress sizes 14-16, with a 34-37" waist. The Silence is a terrifying religious order. Anyone who encounters the Silence immediately forgets about them after looking away, but the Silence’s suggestions remain in their sub-conscience forever. Prepare to investigate and combat paranormal and extraterrestrial threats to the Earth in this Doctor Who UNIT beret. Made from polyester, one size fits most. Officially licensed by BBC Worldwide limited, this Doctor Who TARDIS Necktie will instantly endear you to other Whovians who may spot it beneath your suit. It may seem small on the outside, but fear not, this Doctor Who TARDIS Pom Beanie is much bigger and warmer on the inside! Knitted acrylic with jacquard TARDIS design. 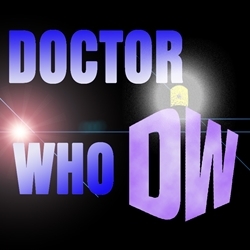 officially licensed by BBC Worldwide Limited. This Doctor Who Weeping Angel Hoodie features a full zipper with mesh eye holes for an easy costume option. Made from polyester and officially licensed by BBC Worldwide Limited.